Starting off as a princess pleasure garden, Kew Royal Botanical Gardens was transformed during the reign of Queen Victoria from a royal collection into not only a botanical garden open to the public, but a public resource of living and preserved plants still standing today as one of the most important collections in the world. Part verdant retreat, part site for botanical study, this UNESCO World Heritage Site makes for a fascinating interplay of British history, bringing together the passion of royals, the emergence of science, and the hunger for wealth during the Age of Discovery. 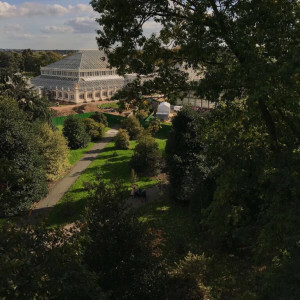 During this Kew Gardens Tour, led by a plant historian, we will visit the Victorian Palm House and discover the important economic plants that marked an era defined by rampant biopiracy, when a new scientific approach to studying plants helped build up British fortunes with plantations across the globe. 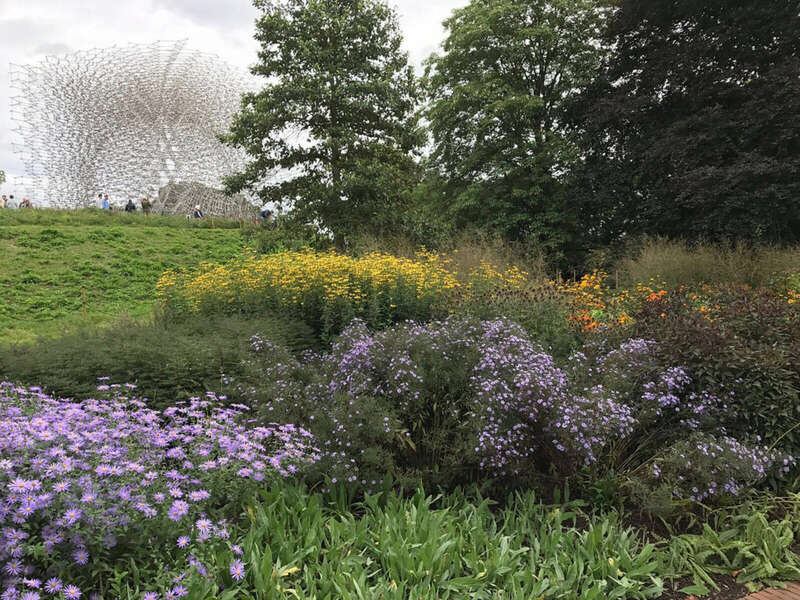 We will also uncover some of the little known strategies of plants to adapt into a changing cultural and physical environment, with a particular interest in how they affected British culture, economy, and gastronomy in the past and today. Finally, we will examine the monumental shift in British landscape design and plant sourcing that saw the shift from copying French and Dutch garden design paradigms into evolving a new distinct landscaping style and industry that pushed Britain to the forefront of garden design prominence, carving out a reputation for themselves as a nation of gardeners. On our tour, we will be able to appreciate the evolution of botany through its relationship to the built environment. 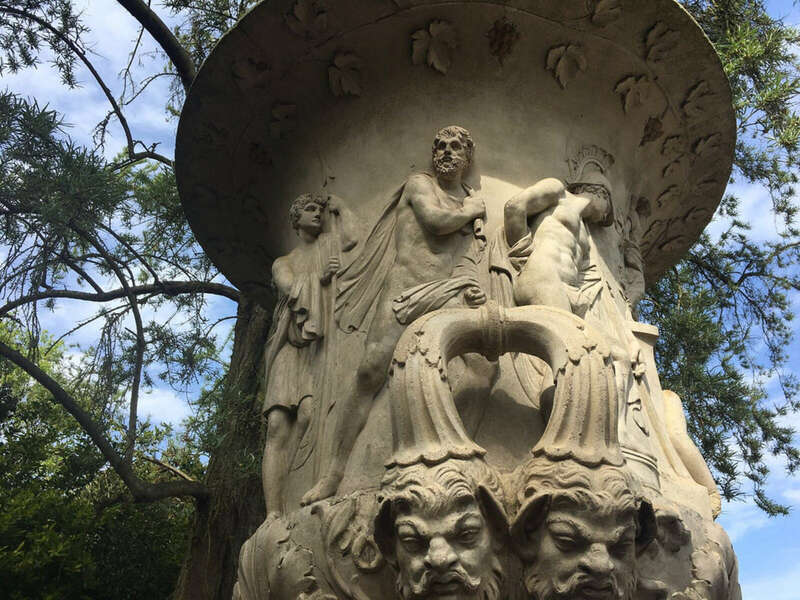 The gardens are home to architectural masterpieces that span 5 centuries, each one reflecting the political, economic, artistic and technological environment within which they were created. 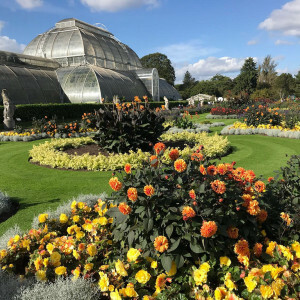 We’ll visit Kew Palace, the summer home of King George III, one of the lesser known royal residences in London, and the oldest building within the Gardens. 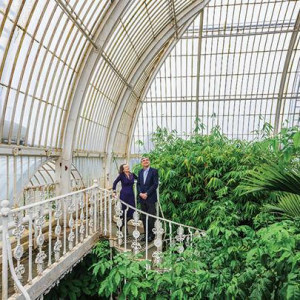 We will learn about economic botany by visiting the iconic glass Palm House, one of the status symbols of Victorian futuristic buildings that predates the famous 1851 Crystal Palace construction in Hyde Park. 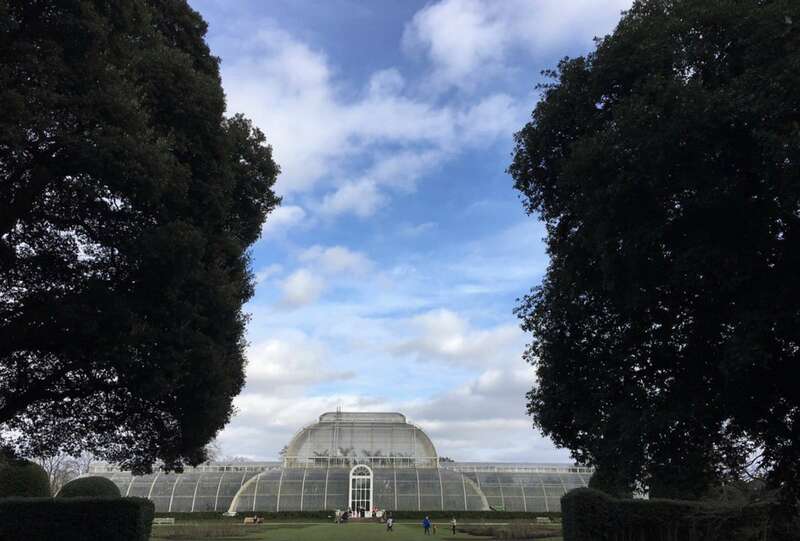 Arguably the most iconic building in all of Kew Gardens, the Palm House contains flora from an array of tropical regions, which will tie into our discussion of how wealth was created in Britain through explorations into the plant kingdom of the world and the practice of biopiracy. 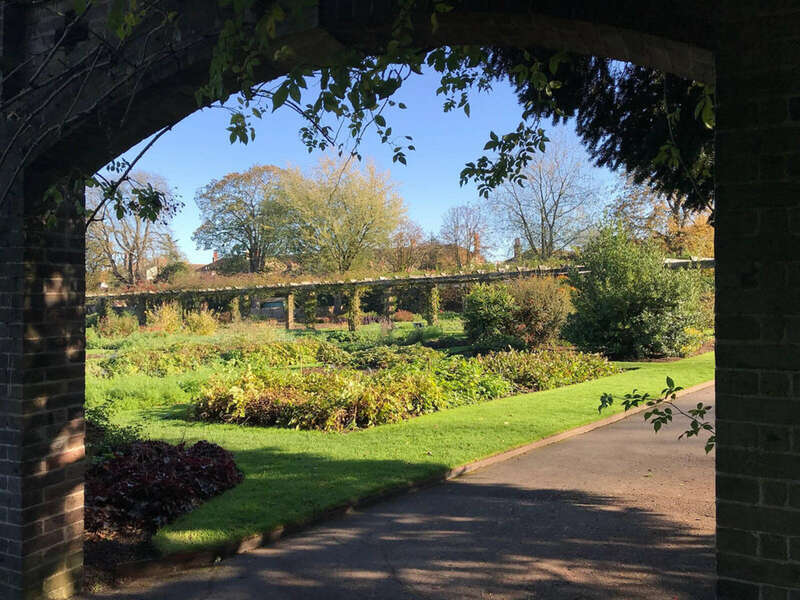 Strolling down Love Lane, we’ll get a glimpse into the history of Kew’s development, learning about the complicated father-son relationship between Charles II and King George III's father and the unification of two distinct royal estates that eventually came to comprise Kew Gardens. 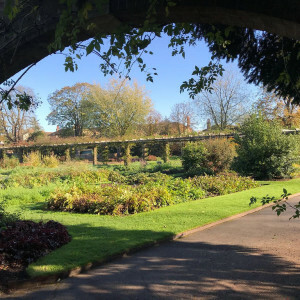 We will visit the 17th century Kew Palace kitchen and gardens, which will help us learn about British gastronomic history with special focus on what plants made it to the royal table. 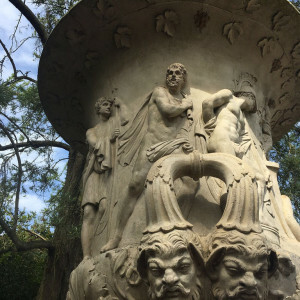 Stopping by the Queen's Garden, we’ll get the opportunity to see some of the Gardens’ oldest sculptures flanked by immaculately manicured hedges, placing special focus on plants that were used to support George III's during his long bouts with illness. From here, our tour may vary considerably depending on seasonality and the proclivities of the group. 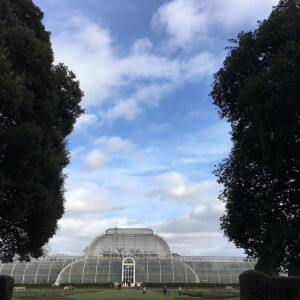 Those who wish to view Kew Gardens’ botanical heritage through art, we may visit to the impressive collection of trailblazing Victorian artist Marianne North. North traveled to remote areas around the world to paint plants in situ with such botanical accuracy that her works were examined by naturalists of the time to identify new species unknown in the West. She travelled unaccompanied causing a sensation, becoming one of the most passionately followed celebrities of her time. A personal friend of Charles Darwin, she was also neighbors with the Pankhurst sisters in Kensington. In spring, we may journey into the conservation area dedicated to native British plants. 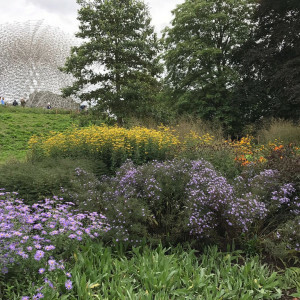 Here (ironically), we’ll learn of the pivotal role that plants from North America had on defining British gardening, as well as the influences of Quaker culture and networking in increasing the palette of plants available for garden design in Britain. Time permitting, we may visit Queen Charlotte's Cottage, a favorite summer spot for King George III and his numerous children. 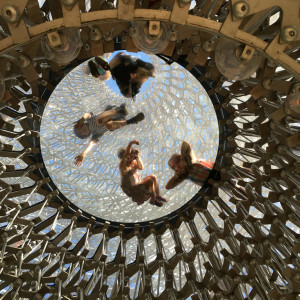 Bringing things back to contemporary times we will visit modern day meadow garden installation The Hive, which is designed by an artist working with sound, light, and architecture to visualize the central role of bees to our survival as a species. 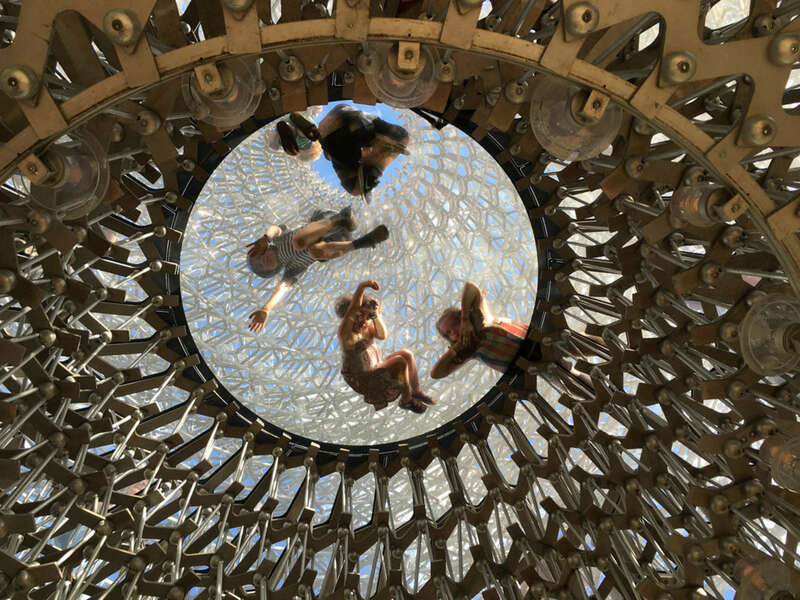 The installation will allow us to experience the intimate sound of bees by connecting the architectural structure with the movement of Kew Gardens’ actual bee hive population. 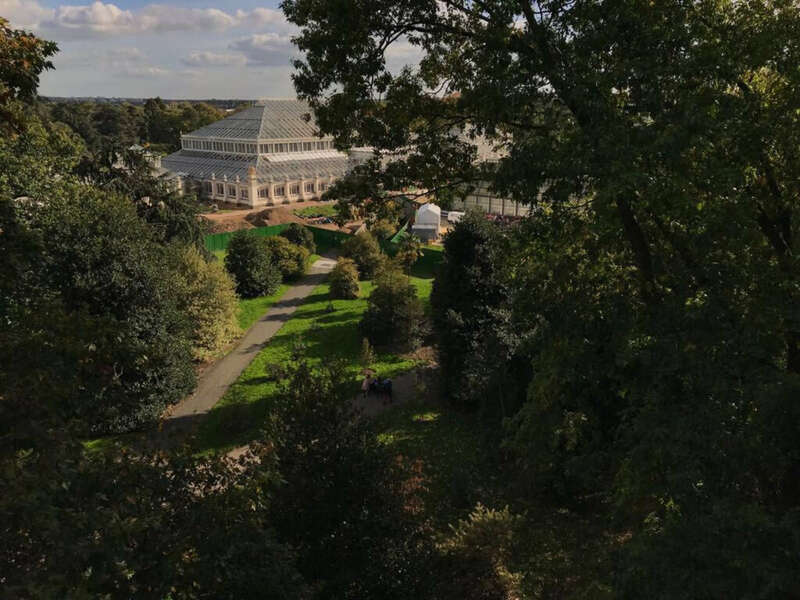 Kew Royal Botanical Gardens offers us the opportunity to journey into royal, trade, economic, social, and art history through the immersive environments of gardens, once designed for the pleasure of a princess, that have evolved into the study of conservation and botany. 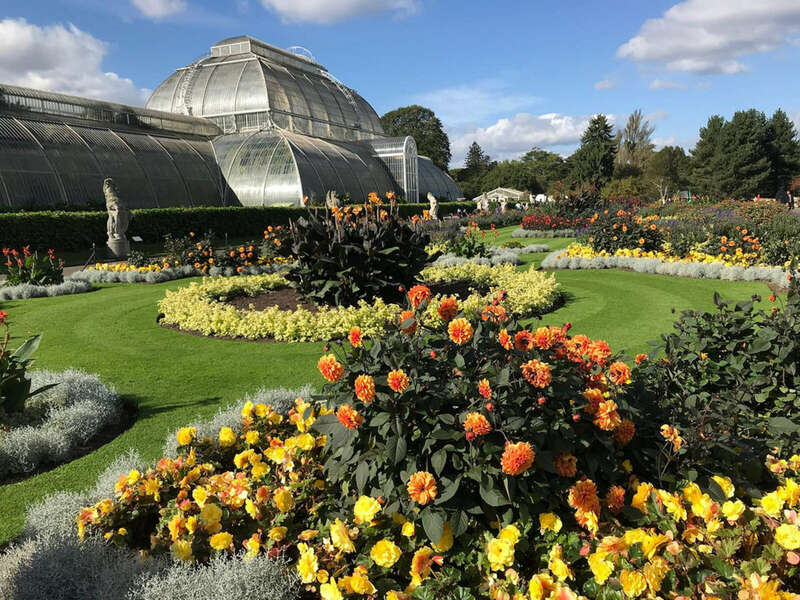 We’ll discover the architectural legacy of the Palm House, learn about Darwin’s contributions to Kew, and trace the evolution of British history through the types of plants cultivated here. 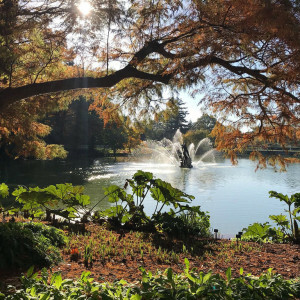 We’ll also explore views from treetops, stick our noses is flowering plants, and learn about the power of plants from all over the world and the delicate history that connects nations, royals, merchants, plant hunters, scientists, and artists. Is this walk appropriate for small children? 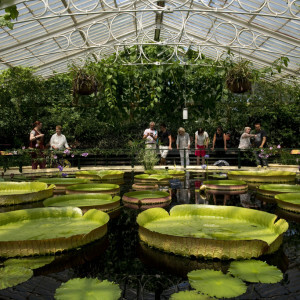 Yes, Kew is a fantastic place for children as they can learn about plants, nature and evolution in a green, open space. What kind of activities will you be doing? While this walk is not just for families, it's a great option for children interested in exploring and nature. Depending on the children's learning styles we may do drawings, treasure hunt and act as nature detectives. Each docent is equipped with tools and techniques. Yes, the garden is fully accessible to wheelchairs. Please let us know if you'll be needing a wheelchair. Yes, your tickets are included at checkout. If you will not be needing them, please let us know. How will I get to Kew Gardens? 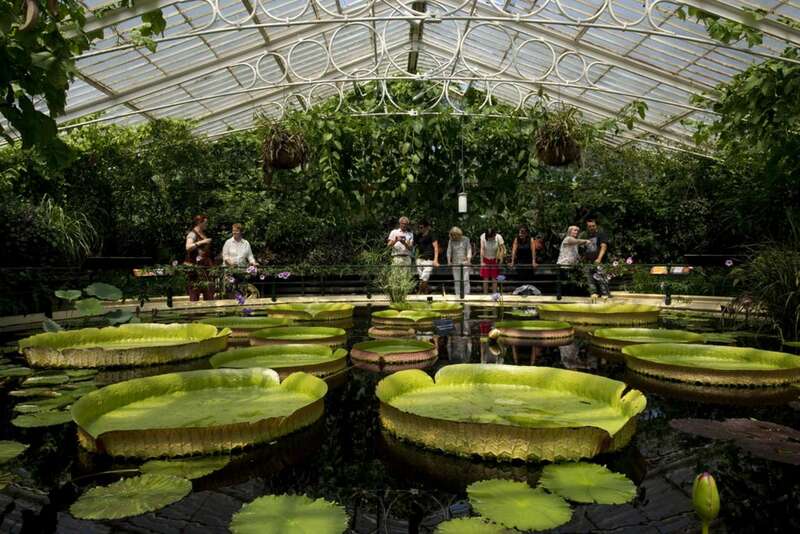 Kew is easily reachable by London Underground. Included in your confirmation you'll find detailed instructions. Worldwide traveller, Camelia Shakti has an MA degree in History and a Post Graduate degree in Landscape Design. An experienced and talented story teller and a passionate explorer of city, mind and landscapes, Camelia works as a yoga artist and designs pop-up yoga playgrounds using petals and seeds. Her designs function as events and have been featured among other places at the V&A Museum of Childhood and Regent's Royal Park. 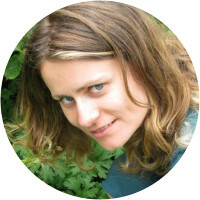 Having explored the aesthetics of horticulture and the practicalities of gardening, she has worked as horticultural consultant for the biggest garden centre in the UK and volunteered on garden projects around the world focusing on environmental approaches to landscape design and maintenance. She has been visiting Kew Botanical Gardens for the past 7 years and is happy to share and bring context of this magical space that houses the biggest collection of live wild species from around the world and beautiful architectural gems that reflect the history of the Industrial revolution, the growth of capital and the transformation of thought and practise into the Age of Reasons, through the Enlightenment and into contemporary efforts in conservation and genetic research. 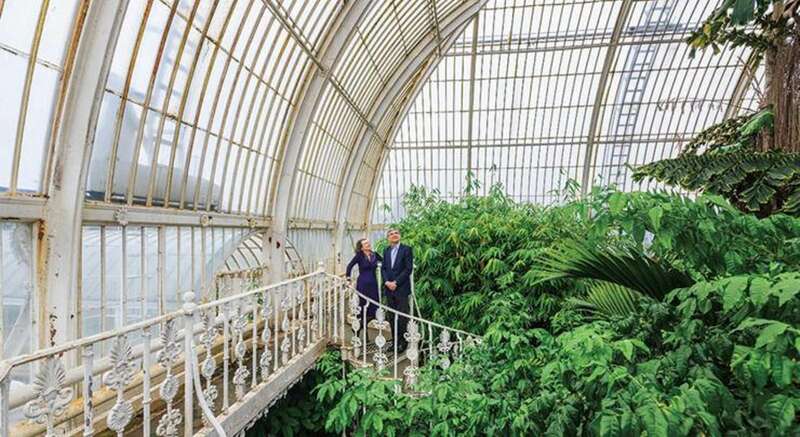 The story that Kew helps us unravel is one of identity and how Britain became a country of gardeners. 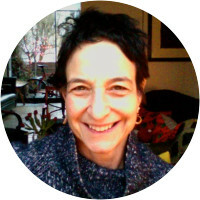 Cindy Polemis is an art historian and an independent lecturer and tour guide. She has a B.A. in History from Oxford University and as a mature student, she graduated from Birkbeck College, London University with a B.A. and M.A. in History of Art. She spent many years as a radio producer and presenter for the BBC World Service. Since 2016 she has been an official guide at Tate Modern and Tate Britain and has lectured independently. Cindy has accumulated a wide range of art historical knowledge and loves to share her passion and enthusiasm for art with her audience in many different venues throughout London and beyond. She is also an accomplished cook, a sour dough bread baker and has many contacts in the artisan food and wine scene in London. 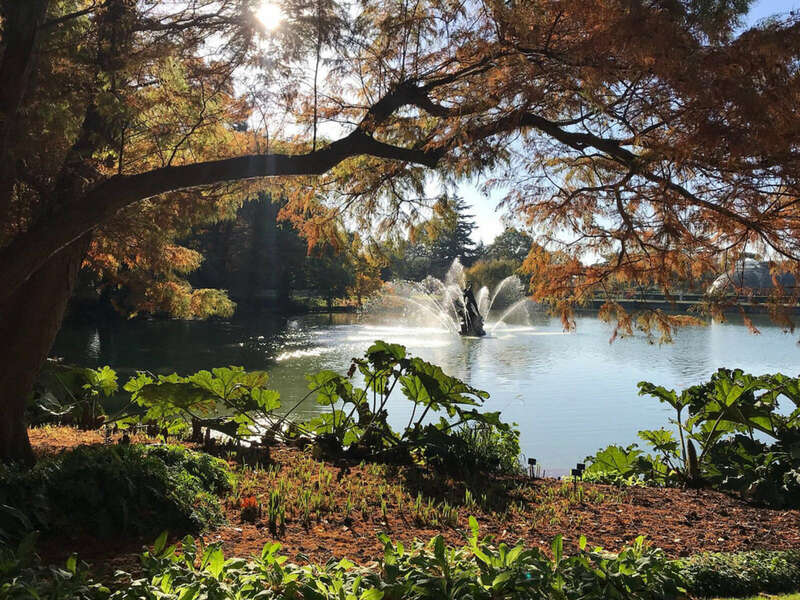 Our docent was extremely knowledgeable about not only the Gardens, but also lots of other topics. She was easy to talk to and answered all questions superbly.